Sometimes the information can be split into a few files and it would be much better to combine it into one single file. If you faced this problem with your Microsoft Word documents, there is a simple solution offered by Total Doc Converter. With its help you can merge Doc into PDF single file, making the information viewable but uneditable without special costly software. With Total Doc Converter the procedure of combining documents into a single PDF file will take not more than a minute. Choosing PDF format for conversion. Pressing ‘Start!’ for starting the process. 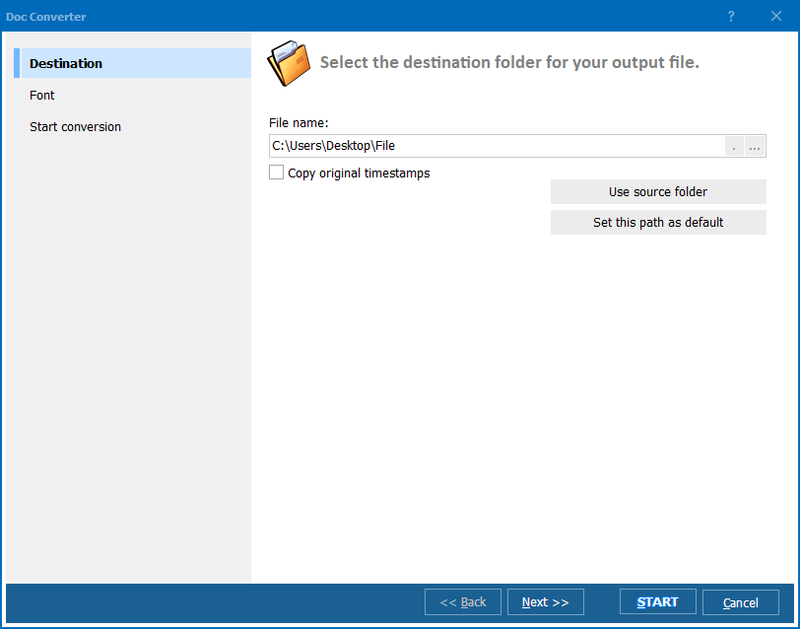 If you would like to get a PDF file of specific paper format, you can also set required parameters in program’s settings manager that appears automatically after you press ‘PDF’. As a result you will combine several Doc to one PDF file of suitable page size. Besides combining DOC files via user interface, you can do it from the command line. 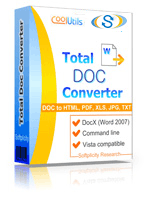 Total Doc Converter can be handled via cmd processor and perform all features of GUI-version. You will find all command attributes in Help menu. 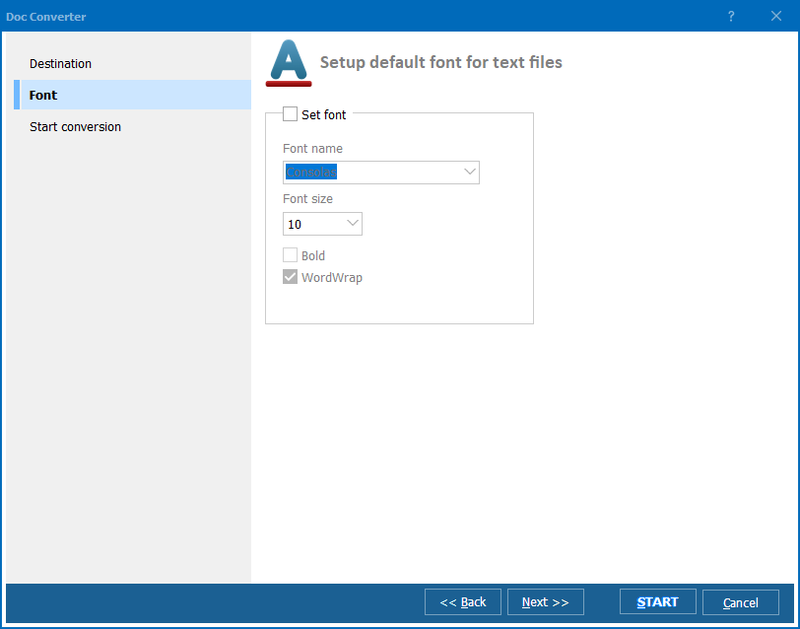 Combining Doc files into one PDF you can set specific font type and size for the exported text information, as well as JPEG quality for graphics. These and other options are provided by inbuilt settings wizard. 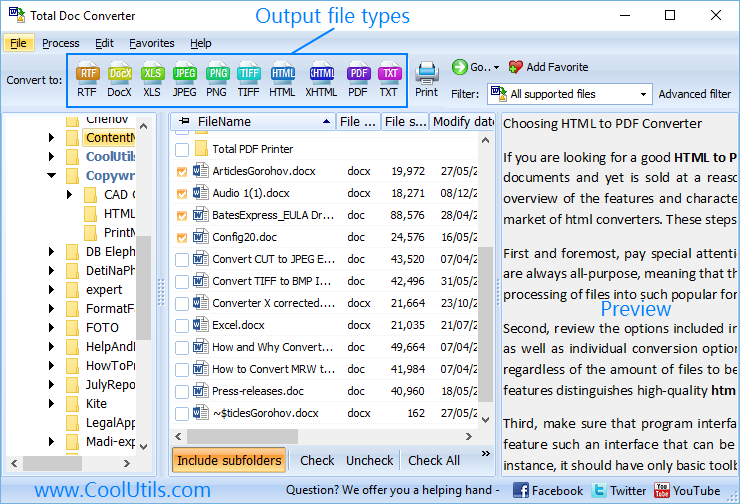 Total Doc Converter is the best document combiner you can find. Get sure in this by testing it for free!